"I allowed them to use their notes and those who have been paying attention and taking good notes, did MARKEDLY better than those who haven't. I'm hoping that I can use this as leverage to show them that note-taking can be very beneficial." I am one of two geometry teachers at my school. My note-taking strategy: When students ask if they should take notes on a particular topic, I remind the class that they're adults and should be taking notes of their own accord. I emphasize my personal attitude towards notes (they're very important, but only if they're self-motivated, selected, and filtered). The other teacher walks around the room and makes sure everyone is taking notes, and gives them demerits if they're not. During quizzes, I allow students to use their notes; during tests, they may use a single-sheet study guide that I provide them, along with anything they've written on that study guide. The other teacher does not allow them to use any materials whatsoever on their tests. I'm beginning to think that I need to do more formal oversight on the note-taking process, but at the same time I continue to contend that telling students exactly what to write down at all points (not what you do, but what I understand many teachers do) is counterproductive. Thank you for your comments! I should point out that the note-taking thing is only in my Math 8 class. 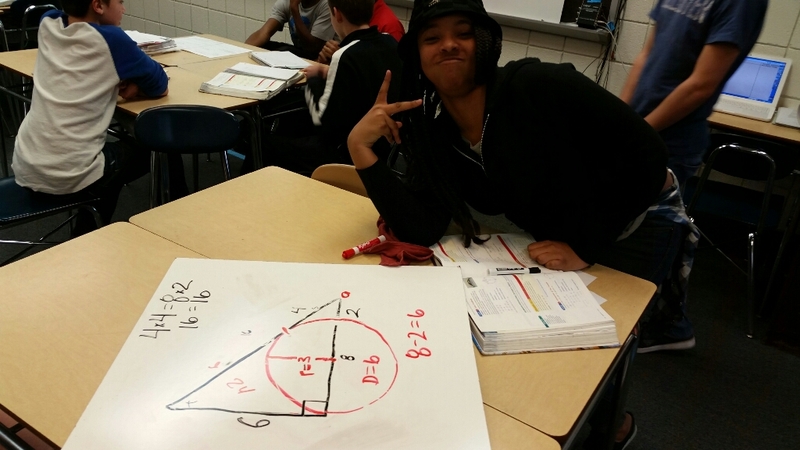 With 8th graders in geometry, I take the same tack that you do. I tell them that I expect they are mature enough to know what they need to write down. In addition, the high school teachers for geometry have developed guided note packets that we use for consistency. With the note for Math 8, I also agree. I don't want to pigeon-hole them into one specific type of note-taking, but I think MY style of notes is better than NO style of notes. I'm using them as a structured way to teach them how to take notes and we will, after christmas break, have some discussions about which parts they found valuable so they can branch out and do what works for them.